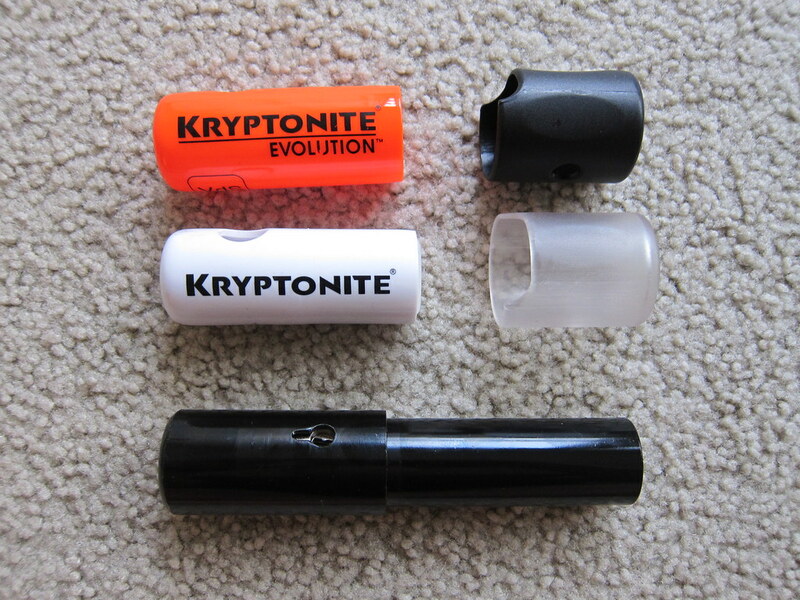 The Green Girl purchased the Kryptonite Evolution Mini-5 U-Lock for Lexa because of the smaller form factor and positive ratings/reviews. Lexa's 43 cm frame is too small to accommodate a U-lock so I was looking for a solution that would be easily carried in my Nathan Intensity Race Vest. 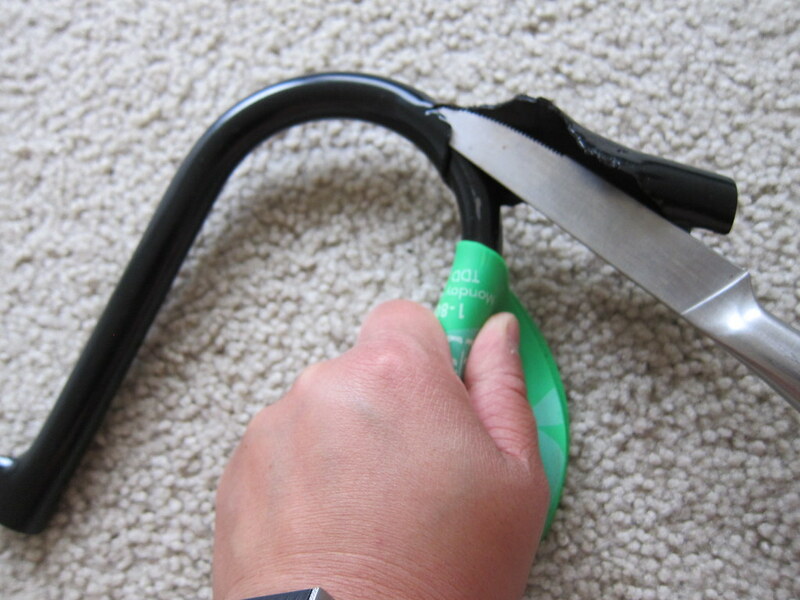 Online research indicated a combination of a U-lock and a braided cable lock or dual U-locks were the most secure solutions. After reading endless reviews, I was comforted to learn this U-lock could not easily be compromised by bolt cutters or hacksaws. Admittedly, an inexpensive angle grinder could cut through any U-lock on the market - you just have to hope the potential thief isn't carrying a spare angle grinder in their back pocket. 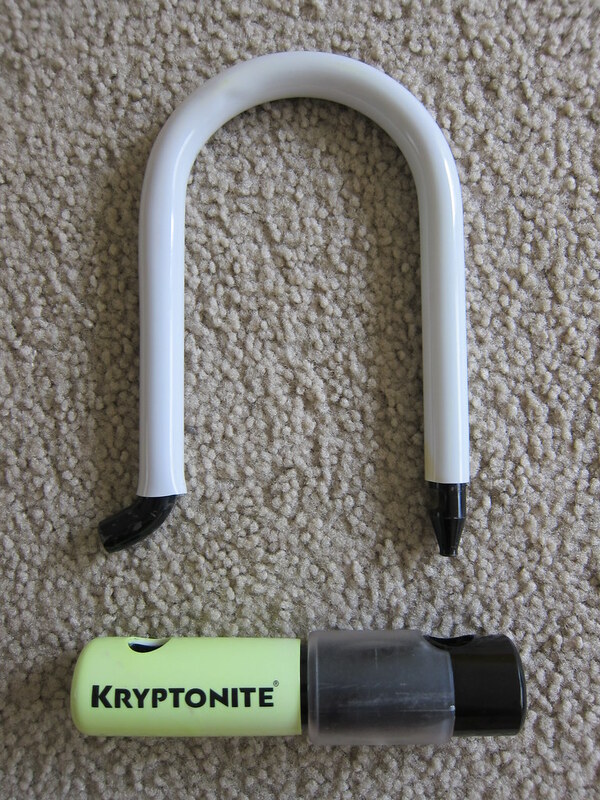 I purchased the Kryptonite Mini U-Lock Color Skin because I wanted my U-lock to match Lexa and because I read the skin added protection against scratching the bike frame. 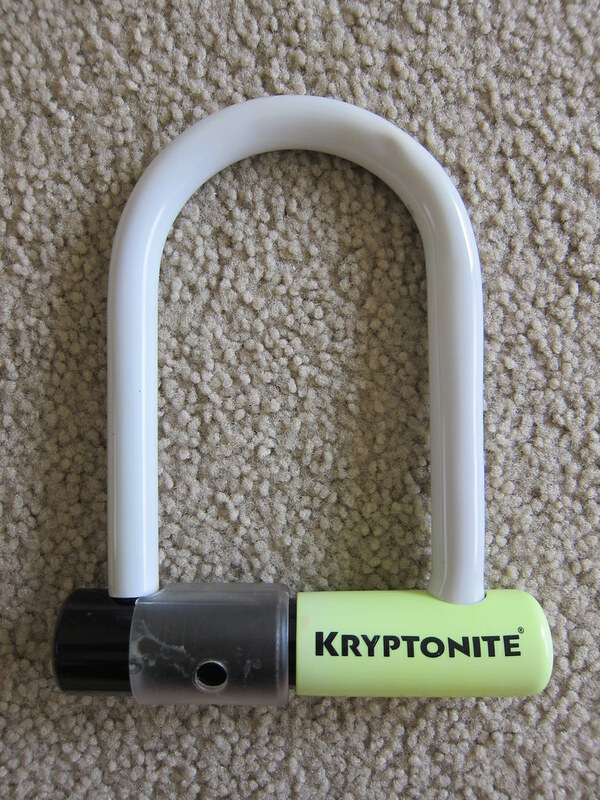 The Kryptonite Mini U-Lock Color Skins fit all Kryptonite Mini U-Lock (EV & KLS2) models with both 3" (7.6cm) and 3.25" (8.2cm) crossbars. The shackle skin tubing is 17" (43.1cm) long and will completely cover up to a 7" (17.8cm) Kryptonite Mini shackle length. The Color Skin Kit includes shackle and crossbar covers and replacement dustcover parts. I learned how important it is to perform the installation in a certain order after I mistakenly slipped the crossbar cover on before sliding on the replacement dustcover. The dustcover will not slip on the crossbar once the skin is on. I had to use a green rubber jar opener to pry the sticky skin off. In the process, the green from the jar opener transferred onto the skin and the crossbar became a faint, fluorescent green color. The entire process took me over half an hour because of the additional time spent yanking the skin off the crossbar so I could slide the dustcover on. I felt it was worth the effort because I am happy with the final result. 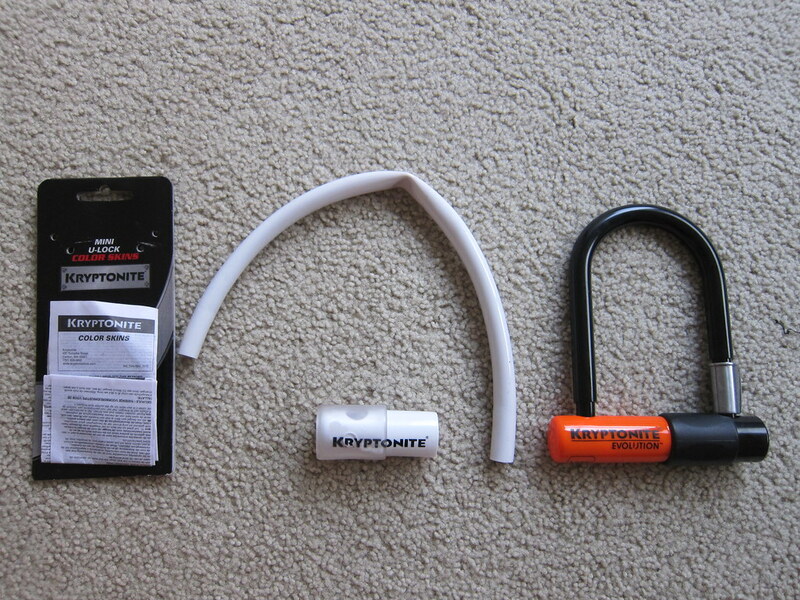 I took advantage of Kryptonite's Anti-Theft Protection at no additional cost by sending in a copy of my bike receipt with the understanding that it will only be honored if the U-lock is left behind by the bike thief. 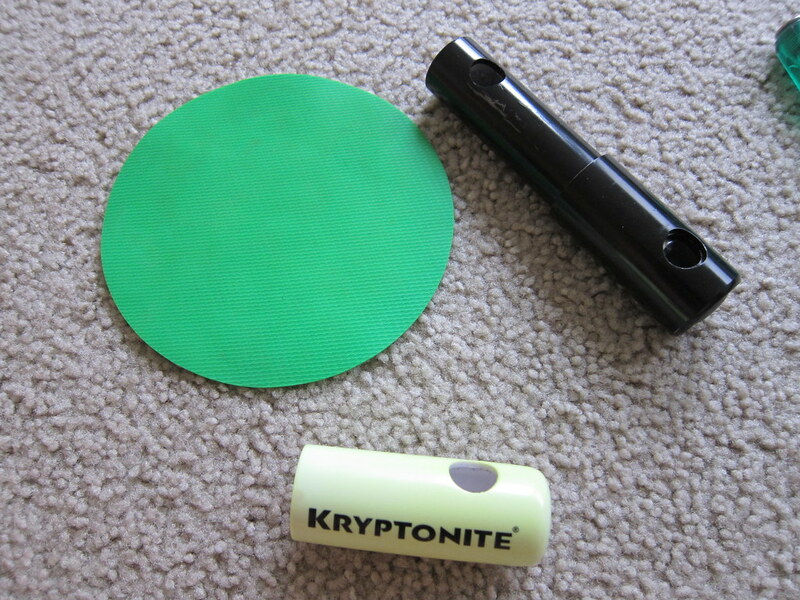 The Kryptonite website offers suggestions for How to Lock Your Bicycle. 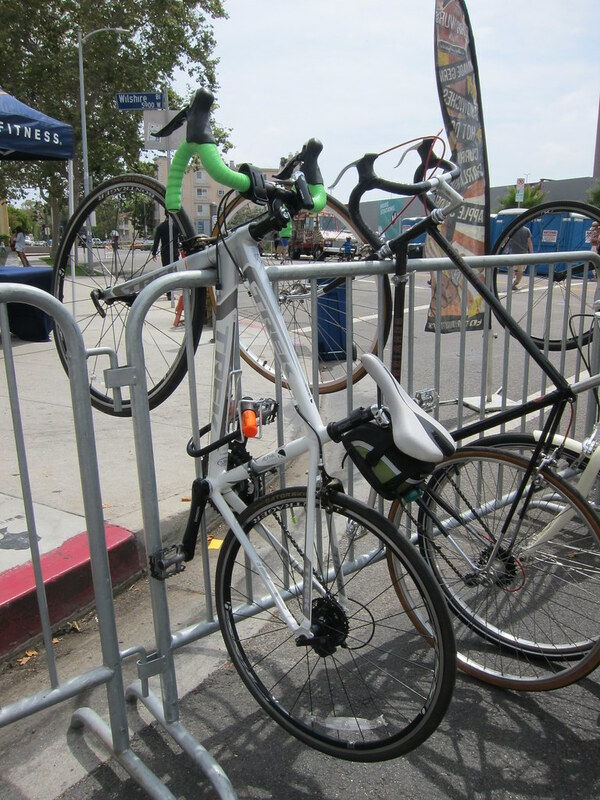 This is important because many bicycles are stolen due to faulty locking techniques as opposed to a compromised lock. If weight and size were not a consideration, I would have opted for a larger U-lock so I could lock Lexa's wheel with the frame. With my current Mini U-lock, I will feel reasonably confident that Lexa is secure when I have to make short stops. In the future, for longer rides when I have a larger cycling pack, I will invest in a cable chain to pair with the U-lock for additional security and peace of mind. Thank you, Mike! I love writing reviews (obviously).